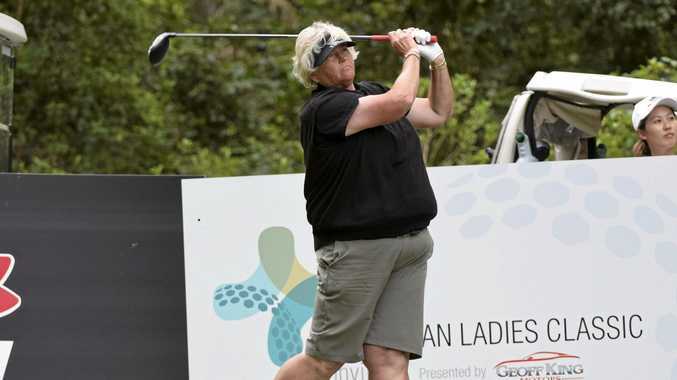 GOLF: Hall of Fame inductee Dame Laura Davies will return to the Bonville Golf Resort this year to contest the Australian Ladies Classic from February 21-24. Davies is a golfing icon who has claimed almost $3.2 million in prize money and won 84 tournaments around the world. The 55-year-old will enter the competition in good form, having won the US Senior LPGA Championship in late 2018. Davies, who is often a crowd favourite during tournaments, tied for 16th place in the 2018 Australian Ladies Classic with consistently good rounds of 71, 73, 72 and 73. The four-time major winner said a down-to-earth attitude and a swing easy approach to the game is what keeps her going. "I just play golf, I love the competition,” she said. Visit www.ausladiesclassic.com.au for free tickets.